I stumbled upon an interesting article in the UK’s Guardian newspaperyesterday. Its quite a depressing read to be honest. Now if that wasn’t a wake up call, I don’t know what is. A picture of materialism, and the consumption of stuff as not only bad for the individual, comparing themselves to others, but of it having an impact on society as a whole. Materialism forces us into comparison with the possessions of others, affecting both the richest and the poorest in society. Your stuff starts to control you. You are dehumanised by your possessions as if ownership has gone into reverse. The article was based on a number of research studies, and whilst there’s always going to be layer of creative interpretation, the facts remain. Becoming less materialistic increases your wellbeing, sense of purpose and social responsibility, and makes you happier. It also diminishes your susceptibility to anxiety and depression. I encourage you to take a read for yourself, the article is here. Aha! aI posted the same artictle to twitter yesterday. For one reason or another i have been unhappy and ‘searching’ for something to fill the void. i have been interested in and wanted to flirt with may different systems, but i’m pretty ‘normal’ myself and everyone els ethat seemed to be embracing this kind of thing certainly seemed more ‘new age’ than me, apart from those in the UK. Today i made my first act towards minimalism in finding a new home for my microwave, and collection/hoard of glass jars…two less things! Huzzah! I already have a blog, and cannot wait to turn more of it over to my journey towards minimalism. Nice to *meet* you! Wow! 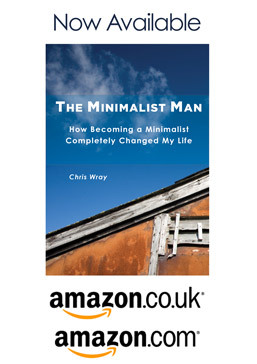 so glad dicovered your blog and exciting articles on minimalism and leading a simplier life. As a new blogger currently looking for further inspiration on my simple living and minimalist journey. Like your writing styte too.